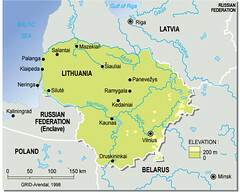 Lithuania is located in Eastern Europe, bordering the Baltic Sea, between Latvia and Russia, comprising of 65,200 sq km. 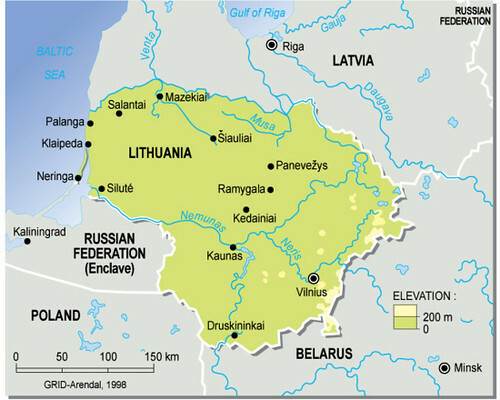 It has a population of 3,596,617 (2005). Major environmental concerns are: contamination of soil and groundwater with petroleum products and chemicals at military bases.